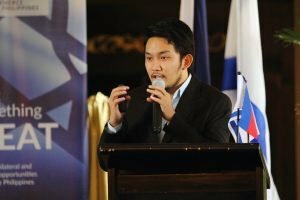 Filipino agritech experts came together during the recent Agri Innovation Forum at Dusit Thani Makati, hosted by the Israel Chamber of Commerce of the Philippines (ICCP), to present agricultural initiatives and discuss how the efficient use of technology improves agricultural processes. Arsenio “Toto” Barcelona, President of Harbest AgriBusiness Corp., presented the advantages of technology in attaining a successful agribusiness. His role at Harbest allows him to promote modern and feasible agricultural technologies to improve the livelihood of farmers and enhance the quality of farm produce. 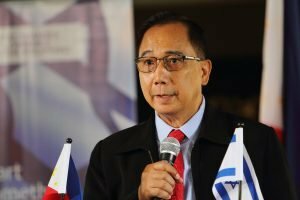 Barcelona cited the use of F1 hybrid seeds and agri-technology, such as the WR-801 Multi-Function Hand Tractors that can do the work of ten people, to increase farm productivity. He talked about his experience in learning natural farming from Korean, Japanese and Israeli farmers. 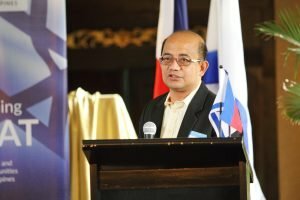 Jose Alvaro Severino Nito, who handles Programs Development for GoNegosyo, said their organization’s agri-initiatives in business and entrepreneurship aim to develop and sustain agri-business in the country. 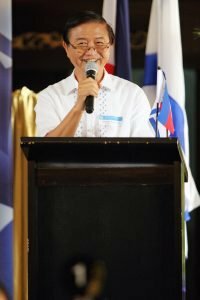 Severino cited several programs they’ve initiated, such as the weekly “ Kapatid Agri Mentor Me Program,” which allows resource persons from various areas of entrepreneurship to coach small or micro-businesses. The program already had 15 regional launches, including the “Kapatid Agri Marawi” and “Kapatid Agri Sulu,” which run a 12-week farm technical program about food self-sufficiency and sustainable agribusiness through farming cash crops. the Philippines. Dr. Ebora added that PCAARRD coordinates with related agencies in delivering the necessary science-based solutions to succeed in agriculture. income and weak job creation. Dr. Dar also added the need to commercialize technologies. At present, agri-technologies are proprietary and owned mainly by the private sector. He emphasized the need to share technologies to help resource-poor, smallholder farmers. that could benefit the agriculture industry.